Mandatory reviewer: The proof will stop and wait for this person to click their green finished button before it moves on in the workflow. Use the mandatory role for key stakeholders who must see the proof. 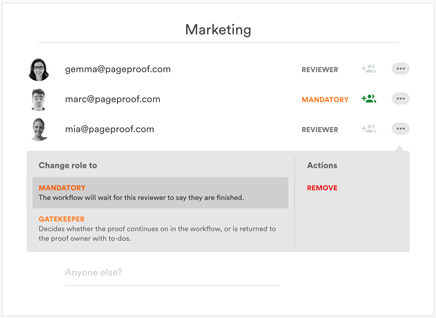 In the workflow, click the more icon next to the reviewer’s email address.